Will Vueling trial kick-start connectivity in Europe? Like the air we breathe, access to wi-fi is increasingly seen as a necessity to get us through the day. Gone are the days when airline passengers were content to be incommunicado during their time on board an aircraft. Honeywell Aerospace sees huge potential for using in-flight connectivity to provide a range of operational benefits and cost savings to airlines. It joins a growing list of companies poised to respond to this demand, but is confident its background in manufacturing a variety of aircraft systems puts it in a stronger position to compete than companies solely specialising in providing connectivity solutions. While the benefits of high-speed in-flight connectivity for passengers are already well-publicised – the ability to check emails, update social media profiles and stream movies to personal electronic devices at 30,000ft – the advantages it can bring to airlines in terms of efficiency gains and cost reductions are less renowned. But that is about to change. High-speed connectivity pipes provide a direct avenue through which all manner of operational data can be sent from an aircraft to the ground in real time, opening up a variety of new ways for airlines to streamline their operations, reduce their fuel costs and plan ahead to improve their aircraft maintenance planning procedures. Weather forecasting is one area in which Honeywell believes significant cost-savings can be achieved through the use of in-flight connectivity. For instance, feeding data about wind speeds into the flight management system and using connectivity to transmit up-to-the-minute reports, not only to the ground but also to other aircraft, could enable pilots to plan their routes more efficiently, potentially reducing the fuel bill for airlines. Inadvertent weather encounters cost the airline industry close to $100 million a year, says Honeywell, while weather-caused delays and cancellations carry an additional annual price tag of around $8 billion. Honeywell, which manufactures the IntuVue 3-D weather radar, is currently working on enabling weather radars to be connected so that weather information can be shared between aircraft. “[At the moment] weather radars are only designed to show information to the pilot. What we want is to be able to share weather data and storm information with other aircraft – including those that don’t have a weather radar,” says Esposito, adding that this will enable aircraft to be used as “weather nodes in the sky”. “To be able to share weather information with aircraft that don’t have weather radars is going to transform the aviation industry,” he says. The weather radar initiative is one of the ways in which Honeywell is looking to use in-flight connectivity to provide operational benefits to airlines, but it plans similar initiatives across its product spectrum. “We have a strong roadmap and a long-term plan across our portfolio,” says Esposito. But Honeywell is by no means alone in recognising the potential for in-flight connectivity systems to provide operational efficiencies. Rockwell Collins and SITA OnAir also describe themselves as end-to-end solutions providers and will be competing to offer airlines new ways of exploiting their connectivity systems for operational reasons. 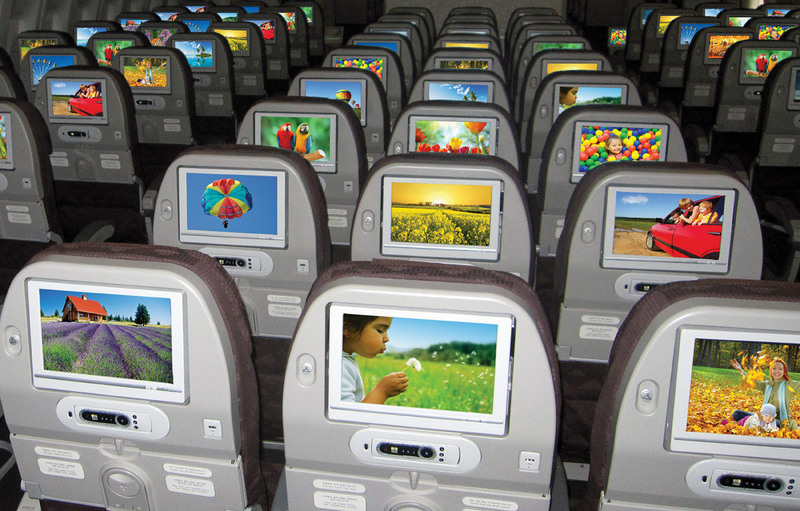 In addition, in-flight connectivity providers such as Gogo and Global Eagle Entertainment are keenly aware of the opportunities for cost-saving that their solutions can bring to airlines. However, Esposito is keen to point out that Honeywell’s experience in manufacturing aircraft systems – together with its involvement in Inmarsat’s upcoming GX Aviation satellite-based high-speed connectivity service – put it in a strong competitive position. “If all I provide is the connectivity pipe but I don’t know how the weather radar works, then I can’t feed into it,” he says. Going forward, the importance of connectivity to airline operations is broadly expected to overshadow the passenger experience benefits it can bring. “Airlines are differentiating themselves on the type of connectivity they offer and this becomes a decision point for passengers. But it becomes even more important from an operational benefit perspective,” says Esposito. As the world becomes more connected than ever, access to wi-fi is increasingly seen as an important resource in many people’s lives. More and more airline passengers are expecting not to have to remain incommunicado during their time on board an aircraft. This year will see the launch of Inmarsat’s widely anticipated Ka-band satellite-based global broadband service, GX Aviation, following the successful deployment of the second satellite in the constellation in early February. Meanwhile, the launch date for the satellite operator’s pan-European hybrid air-to-ground/S-band in-flight internet service is targeted for 2016. These are exciting times in this rapidly evolving market, which presents both opportunities and challenges to airlines as they grapple with the challenge to meet growing demand for connectivity while ensuring their hefty investments pay dividends. Inmarsat, which aims to launch its GX service early in the second half of this year, describes the high-speed offering as “the fastest broadband in the skies”. A network of three satellites will provide seamless global coverage, meaning that “as you fly across the time zones, your passengers will have a continuous, consistent service as traffic is handed seamlessly across each spot beam, and from one satellite to another”, says the company. Vietnam Airlines last September became the first airline to sign up for GX Aviation when it selected US-based connectivity provider Gogo to install and operate the service across the majority of its ordered Airbus A350s and Boeing 787s, the first examples of which are due to be handed over to the carrier this year. Inmarsat Aviation president Leo Mondale says that more airline customers will be announced “very soon”. Mondale says there has been an “explosion in demand” for in-flight connectivity, “from the cockpit to the cabin and everywhere in between”, but he believes the biggest opportunities for making the best use of it will be in the cabin. “The in-flight connectivity market is only going to grow. While there will be growth in demand to supply connectivity for communications to the cockpit for enhanced safety and aircraft management, we see the real opportunity is in the cabin,” says Mondale. “Passengers expect to be able to connect in the air as they do on the ground. In the USA, the market for in-flight connectivity has taken off much faster than in Europe and passengers there are widely accustomed to staying connected in the air via satellite-based or air-to-ground systems. But Europe is catching up fast and will soon have its own hybrid air-to-ground/satellite-based network, courtesy of Inmarsat. The satellite operator last June announced plans to deploy an EU-wide integrated aviation connectivity network and said it was in “advanced discussions” with British Airways to be a launch customer. Mondale says the company “is in discussions with a number of airlines, as well as continuing our negotiations with BA”. Inmarsat recently announced that it had partnered with Alcatel-Lucent to develop the ground infrastructure component of the network. On the satellite side, the company is working with EU member states to obtain the necessary permits to enable it to use the S-band satellite, known as Europasat, for its hybrid aviation network. “We already have authorisations from 23 member states and are progressing well to meet our target to launch the network in 2016,” says Mondale. “Our projections are that Europe will rapidly become a significant market for in-flight connectivity so will require a lot of capacity,” he adds, noting that Inmarsat’s hybrid solution is well positioned to meet that demand. “The real advantage sits in the fact that the satellite and air-to-ground links complement each other, providing the high level of capacity required over the high-density traffic routes of Europe. It is not just network airlines that have signed up to or expressed an interest in offering in-flight wi-fi. 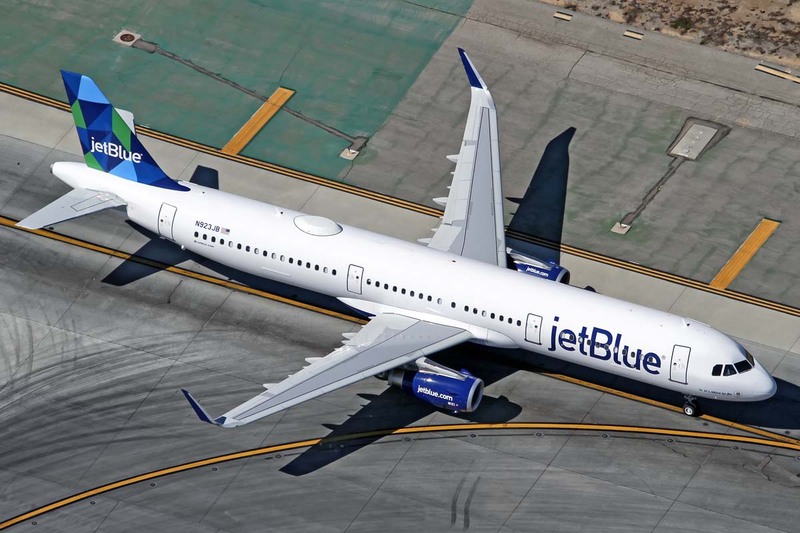 In the USA, JetBlue Airways and Southwest Airlines both provide connectivity to their passengers, through a ViaSat Exede Ka-band satellite service and Global Eagle’s Row 44 Ku-band product, respectively. And in Europe, Oslo-based budget carrier Norwegian Air Shuttle also uses the Row 44 platform to offer free in-flight wi-fi to its short-haul passengers, while Spanish low-cost operator Vueling recently signed up with Thales unit LiveTV to offer Ka-band connectivity via Eutelsat. Meanwhile, low-cost giants EasyJet and Ryanair appear to be waiting in the wings with a view to introducing in-flight wi-fi when the costs come down. EasyJet chief executive Carolyn McCall said during the carrier’s full-year financial results conference in November that in-flight wi-fi “is not an area necessarily to be a first-mover on, but when it becomes a lot more mass-available at the right price and… when it is of better quality then I think all of us will have it”. Similarly, Ryanair is keen to introduce in-flight wi-fi as soon as it becomes less cost-prohibitive. Ryanair chief technology officer John Hurley says the Irish budget carrier is looking “big time” at offering wi-fi, but that this will depend on the implementation and running costs of these systems coming down. To install a satellite-based onboard connectivity system, aircraft must be retrofitted with antennas, which Hurley says create an extra “1-2% drag”. Hurley says the pan-European hybrid satellite-based/ATG service being developed by Inmarsat is “one possibility” for the airline. If and when Ryanair introduces in-flight wi-fi, it is likely to be offered on flights with a stage length of two to three hours, because “on a 30min hop from Dublin to Liverpool, there would be no point”, says Hurley. As far as pricing goes, the Ryanair CTO says he is “not fully sure” whether the carrier would charge passengers for the service. “We have to work out the cost to fit our aircraft out,” he says, adding that one possibility would be to follow JetBlue Airways’ example of offering certain basic services – such as email and other light internet platforms – for free and charging for more bandwidth-heavy services. Ryanair could take a leaf out of Vueling’s book and find a partner that will provide in-flight connectivity at no charge. The Barcelona-based carrier last year signed such an agreement with Spanish telecommunications company Telefonica, satellite operator Eutelsat and Thales unit LiveTV. Hurley says the Irish carrier is “in talks” with some of the same partners. In the meantime, Ryanair will soon begin trialling a free-to-access wireless in-flight entertainment service that will stream content from an onboard server to passengers’ own electronic devices. The airline will offer passengers on certain flights the opportunity to stream TV shows and films to their own smartphones, tablets and laptops this summer. If the trial proves successful, the service “will be rolled out later in the year”, says Hurley. In an attempt to get a handle on the state of in-flight connectivity – the demands of passengers, the potential benefits for airlines and pilots and the immediate future – we gathered three industry experts in a room at the Geneva headquarters of SITA OnAir to discuss the topic. Participants included Aileen McDowall from Honeywell Aerospace, Ben Griffin of Inmarsat and François Rodriguez representing the home team. In an attempt to get a handle on the state of in-flight connectivity – the demands of passengers, the potential benefits for airlines and pilots, and the immediate future – we gathered three industry experts in a room at the Geneva headquarters of SITA OnAir to discuss the topic. Participants included Aileen McDowall from Honeywell Aerospace, Ben Griffin of Inmarsat and François Rodriguez representing the home team. Dominic Perry, Flightglobal: To kick off, can you outline the experience passengers receive at the moment – is connectivity as robust as it needs to be? François Rodriguez, SITA OnAir: Connectivity is a real need that passengers are demanding today. Everyone gets connected from the youngest age – when I look at my daughter she is already playing with my smartphone at three years old. The younger generation is used to those types of tools to stay connected and to play with. On the other side, the airlines have been adopting those services differently. In the early days, they looked to sell in-flight wi-fi sessions, but free wi-fi is now becoming the new trend, as one of the amenities that the airlines provide on board. Aileen McDowall, Honeywell: We probably forget how dramatically things have changed in the last few years. I think all of us in this room remember our first wi-fi connected device and it wasn’t so long ago. Things have dramatically changed since then. Now I won’t go to a hotel that doesn’t have wi-fi, and I get really frustrated if I don’t have it at the airport. The obvious next step is to have it on aeroplanes. DP: Do you think passengers are being well served at the moment by in-flight connectivity? AM: No I don’t. I don’t think they have a consistent experience. I don’t think we have the speeds that they are expecting. Ben Griffin, Inmarsat: Certainly connectivity has been around for a while and Inmarsat has been providing services to aircraft for over 20 years. Connectivity is not new, but the way it is being embraced on aircraft is. Today I would say there is a mix of capability and service to the passenger and I think it’s that which creates the frustration. But it is not as straightforward as turning up the wick and providing more capacity and capability. With the introduction of GX Aviation later on this year, we will start to see uniformity and increasingly huge capability that airlines and their passengers can depend upon. DP: Is there one approach that suits everyone? BG: When we talk about the airlines as a collective industry, it is a massive generalisation. We have low-cost carriers, we have regional carriers, we have global carriers, we have widebody, single-aisle... We have to think about the philosophy of the airline, the demographic of the people they are carrying and where they are carrying them, and the propensity of their passengers to spend. AM: I would go even further, even in an individual airline you’ve got three major groups: passengers, then the maintenance crews, and the pilots where safety services and flight optimisation are a huge benefit if they can use data on and off the aircraft. And I think that the airlines themselves are getting more and more sophisticated through their strategy, identifying what they want to achieve through connectivity. DP: Passengers are increasingly seeing in-flight connectivity as a must-have. Are airlines in a position to meet that need? FR: I think they are. It’s just to make the business case work for them. In the past years we have seen equipment and data costs come down and it is now more accessible for the airline to invest compared with five years ago where we were addressing the early adopters in the market. Now we have seen flagships investing in connectivity, we are also addressing low-cost carriers to provide connectivity as well, making the proposition more compelling for them. AM: Absolutely. And I think listening to what the airlines care about is the starting point. There are some airlines who buy into it purely on the revenue case – whether they charge for it or whether they simply believe they’ll get more passengers – but most airlines want to know more. They want to know more about the cost side of things, how can they reduce their costs through connectivity. That may be on the maintenance side, that may be flight optimisation or it may be the auxiliary services. So I think that understanding the airlines’ strategy and how you can supplement that through connectivity is really critical. FR: Instead of equipping every seat with a screen you use the screens that passengers carry on today. A recent survey we carried out reveals that 80% of people have a smartphone, 40% of people carry on both smartphones and tablets, 30% of people are carrying three devices – a smartphone, tablet and a laptop. The proliferation of devices on board the aeroplane presents a new window of opportunity to use those devices differently. Removing an in-seat screen that will be old in three years’ time, that requires heavy maintenance costs, requires weight to be carried on every single flight, is a way to optimise that trend. DP: Presumably better connectivity benefits those in the cockpit as well? AM: I think it’s fair to say that the consumers, the passengers have really driven the technology on the aircraft in terms of bandwidth and capability, but it really becomes an enabler for what else you can do. There is a lot of data that exists on an aircraft. If you can take that data and provide it real-time to the ground or vice versa you are able to make faster, better decisions. An example being if you had maintenance data that something had either failed in flight or was about to fail, that part could be waiting at the gate. There’s a lot of information that we don’t use today. If we are able to harness the power of wi-fi, the power of connectivity, we can get that data to the people who can make decisions based on it. DP: Have service providers been guilty of over-promising in the past? Is that hampering passenger take-up? BG: The industry needs to take responsibility for setting expectations and telling the marketplace what they have been doing. Inmarsat is always very responsible. SwiftBroadband works on an A380 aircraft and it does a reasonable job of servicing the expectations of those passengers. But there’s a very clear message from the operators of those type of aircraft that they need somewhere else to go. GX provides a solution to those needs. But certain suppliers in the industry talk about big numbers of bandwidth everywhere and “isn’t this great for the customer”, which is fairly irresponsible. People making the procurement decisions are not experts. Our responsibility is to turn very complicated discussion into something which a) is true and b) means something to their passengers. And I don’t think in large chunks of the marketplace that’s currently being done. AM: You have to turn it into something that resonates… It’s no good talking in terms of bits and bytes. I think that’s critical. You can talk too much about the product and that doesn’t resonate. Can I use YouTube or watch a movie? That’s much more relevant. FR: The worst thing that can happen is the airline gets so confused is that they operate multiple systems from multiple providers. So then basically you provide the opposite. There is no consistent experience. AM: There’s probably a lingering concern from consumers worrying about how much it is going to cost them. It is still thought of as a luxury to connect in flight. It was expensive, but truly now it’s affordable and frankly we expect it to be free as we move forward. But I think that lingering concern is still there. You need to have a marketing campaign around what it is today – not just in terms of the capability and consistency, but also the reassurance that you are not going to go home and get a massive bill in the mail. DP: What will alter the status quo? BG: A very important part of that as well is the stability of connectivity. In order to have a successful deployment of the service you have to have passengers that have experienced it and liked it and therefore are likely to use it again. If you don’t have a stable service you are not going to get that. Particularly important in that is the ambassadorial role the crew take; if the crew don’t have faith and trust in a system that works properly they are very unlikely to endorse it or even announce it on board an aircraft. The crew have to be very comfortable with the fact that the service is a) there and b) operational to the satisfaction of the passengers. The last thing they want is 489 passengers asking why the wi-fi or the GSM or whatever isn’t working. That’s a hassle they could do without. DP: What other benefits could aircraft operators see? AM: There’s still ground that’s largely undeveloped. We are putting a lot of thought into that. I speak to airlines on a regular basis and what’s uppermost in my customers’ minds is how can the business model work for us. That’s why we are spending more and more time of thinking about the flight optimisation, the predictive trend monitoring. And I think the beauty of Honeywell is that while we are a big player in satcom equipment, we are also a big player in multiple other areas on the airplane. We see it as a way to leverage our product portfolio and think of creative new ways of driving cost efficiency. So there are a lot of good ideas we’ve got right now, some of which we are starting to bring to market. FR: The new data pipes we are bringing are opening up a world of applications. Fuel optimisation is a key point; weather information as well. You can have weather information coming in the cockpit in a more sophisticated way compared with the flight management system. Instead of information that you need to interpret, you have more visual elements that can be displayed on an iPad to enable in-flight decisions to help optimise your route. AM: If you are on a 10h flight the information a pilot has on the weather comes from what they got on the ground and their weather radar, which will go out only a certain distance, maybe 300-odd nautical miles. So their ability to change their flightpath is based on what they learned several hours ago and what they can see right in front of them. But if they have connectivity to the ground they can get real-time weather data that’s supplied on their EFB or on their iPad that allows them to then change their flightpath to avoid that weather pattern. Which helps safety, passenger comfort, and fuel cost. FR: We have another application on the cockpit side that we call FMS Wind Uplink. It allows a pilot to surf the winds so they go faster. Ultimately you increase customer satisfaction because you are ahead of schedule compared with the landing plan. BG: Not for me, but the ultimate part of connectivity changing the way we fly – I hope this will never happen – but you could have unmanned aircraft, whether cargo or passenger, flying around. It’s technically feasible today. I don’t think anyone would necessarily want to board an aircraft where there isn’t a pilot there, but that’s the ultimate solution and for that you need a highly dependable link to ensure that’s possible. DP: If not no pilots, could you reduce it to a single pilot? BG: Probably not because you need to have – in case of malfunction – a back-up. You could probably do that but would you want to? AM: Honestly I think that’s a generational thing. You might say never but your daughter or son might be perfectly comfortable with that and your grandchildren might not even think twice. We have unmanned trains and do we think about that? No. I do think it changes over time and things that we don’t think that we would want, the next generation won’t even give a thought about. It will just be so commonplace. Spanish low-cost carrier Vueling will launch a trial of its new in-flight connectivity offering shortly, after outfitting the first of its Airbus A320s for the service. The move could kick-start the roll-out of connectivity on European short-haul flights, as Vueling will become one of the few airlines in the region to offer the amenity on such sectors, and the first to do so with a higher-speed Ka-band service. In April 2014, Vueling revealed that it had teamed up with Spanish telecoms giant Telefonica to provide onboard connectivity, working with Live TV on the service over the Eutelsat Ka-band satellite network. Iberia Maintenance has just completed installation of Vueling's first A320 with the service – MSN 5925 – and a second aircraft is currently being equipped during a maintenance C-check. "The modifications [for the installation] were approved by EASA. Now we are working with the Spanish authorities to allow the switch-on of the service," said Vueling director of engineering Marc Espuga during a technical launch event at Iberia Maintenance's Madrid facilities. He notes that certification is in place and that the pending approval from the Spanish aviation regulator relates to "operational procedures" involved with the new service. The airline expects this approval to come next month, enabling it to complete technical testing before it can begin the commercial trial of the service this summer. The trial will comprise four aircraft – for which Vueling is still to finalise installation plans – and will cover a number of routes, with a view ultimately to deployment across the fleet. It will enable passengers to connect in-flight via their own phone, tablet or laptop. However, the airline is coy on pricing for the service at this stage. "We are working on the commercial model [with our strategic partners]," says Vueling head ancillary and product development Maria Cardenal. "We think it's for both business and leisure. It does not have to be just for business. It will be affordable." While in-flight connectivity is becoming ubiquitous on US domestic flights, the complexity of dealing with multiple national regulators has stalled its roll-out for European short-haul flights. Flightglobal's ACAS interiors database shows well over 2,000 narrowbodies operated by North American carriers equipped with onboard connectivity. A further 400-plus regional jets in the region are also equipped. By contrast, in Europe only a fraction of the more than 3,500 narrowbodies operated by European carriers are so far equipped with onboard Internet connectivity, leaving huge potential to develop the market. European carriers – Air Berlin, Icelandair, Norwegian, SAS and Transaero – all offer in-flight connectivity today on narrowbodies using a Ku-band solution. SAS equipped its first short-haul aircraft with Panasonic's connectivity solution in March 2012 and now has 10 Boeing 737s flying with the service. Air Berlin and Niki have since November has also had a pair of A320s in service with Panasonic's connectivity offering, deployed on flights linking Stuttgart and Vienna to Abu Dhabi. Icelandair is in the process of equipping its Boeing 757s – which it operates on short-haul flights within Europe as well as transatlantic services – with Row 44's service, as is Transaero is equipping Boeing 737-800s. But the most prominent airline with a connectivity offering within Europe, and the only low-cost sector operator thus far, is Norwegian. The airline has more than 80 Boeing 737-800s equipped with Row 44's service. These connectivity solutions operate over the Ku-band satellite system, while Vueling's connectivity offering will use Eutelsat's Ka-band network. The latter provides download speeds of up to 20Mbps and upload speeds of 2Mbps. "This is the next step," says Vueling's Cardenal. "Ku-band is good for global access, but for an area like Europe, Ka-band is better. We wanted to go for the latest system." While Vueling hopes to gain a marketing edge from being the first low-cost carrier to go live with a Ka-band service, other low-cost operators in Europe are showing interest in connectivity services. Irish budget carrier Ryanair has outlined its interest in introducing in-flight wi-fi connectivity as soon as it becomes less cost-prohibitive. It has previously shown interest, having dabbled with a portable DVD player trial a decade ago and the OnAir mobile phone service in 2009. Ryanair technology chief John Hurley told Flightglobal in January that passengers on certain flights would be offered the opportunity to stream TV shows and films to their own smartphones, tablets and laptops this summer. If the trial proves successful, the service "will be rolled out later in the year". It will initially be a "limited trial" offered on "three to four" aircraft, Hurley indicates, though he adds: "It could be more, it could be less." The idea is that a series of "targeted adverts" will be shown before and after a film or TV programme, enabling the airline to cover the cost of the service without having to charge passengers for use. The carrier is in talks with "two partners", but Hurley declines to disclose which service provider it will work with on the trial. A similar service was launched by Monarch Airlines in August 2014, when it unveiled its MPlayer personal in-flight entertainment system. Likewise, UK low-cost operator EasyJet also, ultimately, sees potential in onboard connectivity. "I think [onboard] wi-fi will be a hygiene factor in the future," says EasyJet chief executive Carolyn McCall. "At the moment, it's a cost issue and a quality issue. Once that's resolved, everybody will have it." She adds: "We're not spending a lot of time on toys in the plane at the moment. There's a lot of other things that we want to do first. And that's partly because on short-haul flights everybody brings their own entertainment downloaded on their iPad, iPhone and iPod... from two-year-olds to 80-year-olds. "So if we do something, we really have to add value." No matter how much airline marketing departments would like to make us believe that flying on their long-haul services is an experience equivalent to gourmet dining whilst reclining on silk pillows, we all know the truth is somewhat different. Faced with the prospect of eight hours or more in a metal or carbonfibre tube, most of us would prefer to lose ourselves in whatever the increasingly voluminous electronic libraries of airlines’ IFE systems can offer. And we’re generally grateful for the distraction. But what of shorter trips – is there a market for IFE on journeys of perhaps only a couple of hours? Some airlines have attempted to create such a market. Europe’s largest low-cost carrier, Ryanair, tried to interest customers in tablet computers pre-loaded with entertainment. Being Ryanair, which makes a substantial proportion of its annual profits from ancillary revenue streams, it charged customers a fee to use them. Results were not encouraging. “We did in the past have media players – five per aircraft – which we rented for £5 [$7.50],” recalls the airline’s chief technology officer, John Hurley. “It wasn’t very successful.” By the time they were handed out, there was often insufficient flight time remaining for passengers to derive much use from them. Today, the Irish carrier’s attention is focused on facilitating onboard IFE through passengers’ own mobile devices, a project that is due to be trialled later this year. The plan is that passengers will download an app to their tablets or smartphones that will enable content to be streamed from an onboard server. The content will have digital rights management controls so it cannot be copied or otherwise appropriated by the passengers. Ryanair’s annual passenger figures of over 80 million – anticipated to hit 100 million by FY17 – gives advertisers a huge potential captive audience. Customers using the airline’s new “business plus” fare might be offered enhanced content as part of their premium package. Test systems may be flown in late summer this year, probably on Dublin-originating routes – although which routes have not been decided on yet. If these trials are successful there could be a wider roll-out of the system in 2016. Ryanair regards this self-contained onboard system as a better option than trying to provide wi-fi from an external source due to variable coverage and the potential loss of advertising revenue though customers streaming their own content. External aerials also incur a drag penalty, Hurley notes. The Association of European Airlines (AEA), which has almost 30 member carriers, says that, like Ryanair, many of its members are looking less at full-scale IFE and more at how they can facilitate passengers’ “self-entertainment” by allowing them to use mobile devices on board. One such airline is Star Alliance member TAP Portugal, which signed a deal with portable platform specialist Bluebox Avionics in February to adopt Bluebox Ai for its mid-haul IFE requirement. 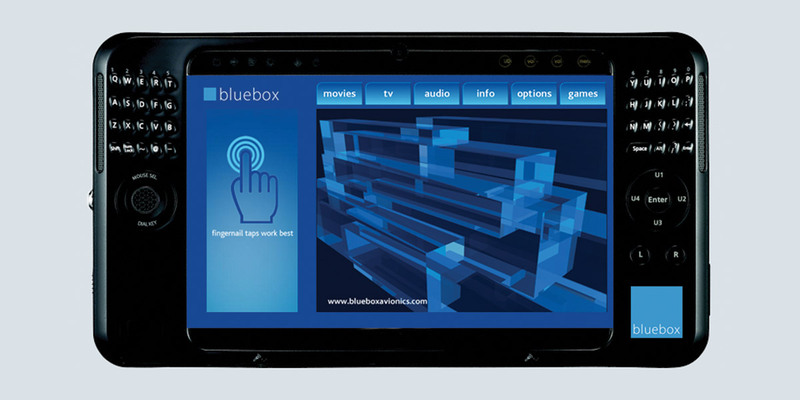 Bluebox Ai is a secure IFE app for the Apple iPad family of tablets and mini-tablets, which can then be distributed to passengers as appropriate. The manufacturer says the platform is approved by US studios to host their premium "early window" – in other words, recently released – content. It can also interface with cabin streaming technologies to provide a hybrid platform, Bluebox wiFE, that the company says is as content-rich as any fitted system. The new deployment will see older DVD players replaced by the Bluebox entertainment solution in TAP’s business-class cabins on key mid-haul routes between Lisbon and Moscow, Helsinki and Accra. Alan McInnes, business development manager at DMD Phantom – which has a 50% share in Bluebox – says the hybrid solution has so far been selected by Hong Kong's Dragon Air, Air Canada Rouge and El Al. "Ai is the main product line for us, but in future the hybrid model will become more important," he says. "One year ago we were talking about the theory of hybrid, and we have delivered [that system] to three airlines since then." Others carriers are going down a different route. Estonian Air and Dutch low-cost airline Transavia, the latter a subsidiary of Air France-KLM, are both customers of Hoofddorp, Netherlands-based MI Airline and its AirFi product. AirFi allows a carrier to create a wi-fi network onboard an aircraft, which passengers can log on to using their own devices to access a variety of hosted content such as games and videos. Contained in the AirFi box – weighing 1.3kg – are a wi-fi transmitter, server and battery. Because the system is not hardwired into the aircraft, AirFi boxes are easy to transport and don’t incur the weight penalty of an embedded system, says chief executive Job Heimerikx. It offers an internet browsing experience and IFE in a cost-effective way. “Even though Ku- or Ka-band products from a technical point of view are very beautiful, we are of the opinion that it is very hard to make a business case for the short-haul airline,” says Heimerikx. Rental cost for an AirFi box – two are required for a narrowbody – is €2,500 ($2,640) per year, but this can be offset if adverts are included within the content package, he says. The association says that the only AEA member to have installed IFE seatback screens on its short-haul fleet is another Star Alliance member, Turkish Airlines. Most others have limited ‘entertainment’ to drop-down ceiling screens that chart the flight’s progress. The only other exception, says AEA, is Swiss – which uses the drop-down screens for promotional material, such as programmes dedicated to new destinations on the airline’s network or Swiss cultural activities. Increasingly, however, passengers are making their own entertainment, coming on board with their laptop or tablet computers pre-loaded with films or music. Tablets are increasingly favoured as, unlike laptops, they do not have to be stowed away for take-off and landing, so users can have anywhere from an extra 10 to 30 minutes of playtime as aircraft taxies to and from the runway. Using their own devices also allows them to make use of their own headsets – frequent travellers often buy high-quality noise-cancelling headphones that gave better sound reproduction than traditional airline headsets. One problem facing airlines, says AEA, is that IFE technology is developing so quickly that they are cautious about investing for fear of buying systems that are likely to quickly become outmoded. Allied to that is the sense that due to the lengthy development, certification and installation period relating to all onboard IFE, it will always lag the rapid capability enhancement seen in consumer electronics. As the in-flight connectivity market awaits news of an updated launch date for Inmarsat’s high-speed GX Aviation service, following a failed satellite launch in May, rivals Panasonic Avionics and ViaSat are pressing ahead with enhancements to their own offerings in this increasingly competitive space. What is clear, however, is that the thirst for both faster speed and more bandwidth is unquenchable. Inmarsat’s Ka-band satellite-supported GX Aviation service was initially expected to become available in the first half of 2015. In a 6 May first-quarter earnings statement, Inmarsat chief executive Rupert Pearce said this had been delayed to late in the third quarter. However, 10 days later the planned launch of the third satellite (I-5 F3) – which is required to enable the service to provide complete global coverage – suffered a setback when the Proton Breeze M rocket carrying the preceding Centenario satellite failed 8min after lift-off. Pearce said on 18 May that the Proton failure would “inevitably delay our launch plans for our third Global XPress satellite”. The length of that delay remains to be seen, with Pearce noting that this cannot be determined “until the cause of the Cenenario launch failure is established”. In the meantime, Panasonic Avionics’ Global Communications Services unit is continuing to add extra capacity to its Ku-band aeronautical satellite network, which supports its eXConnect in-flight connectivity service. “Over the past three years, we’ve been committing to HTS [high throughput satellite] capacity, and are adding in as much additional capacity each year as some other operators have in their entirety, especially over high-density air routes, thereby ensuring that we remain ahead of passenger demand,” says David Bruner, vice-president of Panasonic’s Global Communications Services division. While Inmarsat waits to put its third satellite into orbit, Panasonic is touting itself as the only in-flight connectivity provider offering global coverage. “Our Ku-band based Global Communications Services already offers the fastest connectivity in the skies, and is the only offering to be truly global,” says Bruner. But others are catching up. California-based ViaSat – which provides high-speed in-flight wi-fi to JetBlue Airways and United Airlines in the USA through its Ka-band satellite-supported Exede In The Air service – last year signed an agreement with Paris-based Eutelsat that will enable both companies to have service access and roaming on each other’s networks. The resulting service area will span North America, Europe and the Mediterranean basin. The agreement also includes provisions for future satellites including ViaSat-2, which is scheduled to launch in 2016 and will cover North America, Central America, the Gulf of Mexico and the Caribbean, as well as bridging the North Atlantic “to form a blanket of high-capacity coverage across the region”, says ViaSat. Israeli carrier El Al last year agreed to be the European launch customer for ViaSat’s Exede service, and Dankberg is hopeful the airline will be the first of many. “As we introduce Exede in-flight service outside North America, we expect the same enthusiastic response we’ve seen since our launch in the US,” he says. ViaSat believes the major differentiator of its service is that instead of providing “an aggregate amount of bandwidth to the plane that leaves passengers competing for service”, it delivers at least 12Mbps to each connected passenger. The fact that satellite companies are investing so much time and so many resources into developing and improving high-speed, high-bandwidth in-flight connectivity services is testament to the level of demand that exists, not only from passengers wishing to be as connected in the air as they are on the ground, but also from airlines seeking to exploit the wealth of operational benefits that connectivity can provide. Such benefits include real-time aircraft health monitoring, in-flight credit card transactions and up-to-the-minute weather forecasts. Inmarsat’s GX Aviation launch may be on hold for now, but the satellite provider is confident that when it does become globally available, it will be a game-changer. Meanwhile, Honeywell Aerospace, the exclusive terminal provider for GX, is pushing ahead with testing and certification of its Jetwave MCS 8200 onboard hardware. In the end being fast will likely be more important than being first. Hawaii-bound Virgin America passengers will soon be able to access in-flight Wi-Fi for the duration of their flight, thanks to a new hybrid antenna from ViaSat that will enable a single aircraft to connect to both Ku- and Ka-band satellite networks interchangeably. The airline is hoping this seamless coverage will put it ahead of North American competitors, for whom wi-fi has become a key selling point. Virgin America wanted to offer its passengers the speed and bandwidth advantages associated with Ka-band, but the ViaSat-1 Ka-band satellite cannot be accessed over water. Rather than limiting its Hawaii-bound passengers' Internet access to the US mainland portion of the flight, the carrier has decided to install a brand-new antenna that can switch to Ku-band service when the aircraft leaves the mainland. Don Buchman, vice-president and general manager of ViaSat's commercial mobility business, likens the switch from Ka to Ku to the difference between 4G and 3G mobile phone service. Wi-fi service when the antenna is tuned to the Ku-band satellite will be “slightly slower” and passengers “would notice the difference”, says Buchman. Certain elements, such as streaming video, “might not be supported” during this portion of the flight. Both the Ku- and Ka-band antennas are located on the same turntable, which is the same size as a single-antenna model but carries a slight weight penalty. The satellite in reach is “automatically detected”, enabling the dual-antenna to “switch seamlessly between networks”, says Buchman. JetBlue Airways and United Airlines are two other US-based carriers that use ViaSat's Ka-band satellite-supported wi-fi service, but Virgin America is keen to point out that its new agreement with ViaSat makes it “the first commercial airline to offer an in-flight wi-fi service that can operate in both Ku- and Ka-band satellite networks on the same aircraft”. The carrier was an early adopter of in-flight wi-fi and has installed Gogo's air-to-ground ATG-4 connectivity system across its fleet. “We were the first airline in the US to bring [Gogo's] initial product to every aircraft in our fleet as of 2009, and we again upgraded all of our fleet to their latest-generation ground-based wi-fi – ATG-4 – as of December 2014. So we're very focused on making leading-edge investments in our product to bring consumers more choices and more of the amenities they are used to on the ground,” says Virgin America director of product design and innovation Ken Bieler. But the race to offer the fastest and highest-quality in-flight wi-fi service has become extremely competitive in the North American market. “[Virgin America] felt they were falling behind – they realised that connectivity was quickly moving from being a communication tool to being an entertainment tool,” says Buchman. By signing up to use ViaSat's Ka-band service, the carrier now says it can offer “internet speeds that are eight to 10 times faster than any other in-flight wi-fi system”. Virgin America will not roll out the hybrid Ku/Ka system until early 2016. However, the carrier in September will begin installation of ViaSat's regular Ka-band antenna on 10 of its new Airbus A320s. It is unclear whether the airline will eventually transition its entire fleet from a ground-based to a satellite-based solution. “At present, we've not yet made a technology decision with respect to the rest of the fleet. However, as technology advancements in this field are moving quickly, we are continually evaluating the latest products to see what future investments make the most sense for our airline and our guests,” says Bieler. Virgin America has yet to reveal the pricing structure for its new satellite-based wi-fi offering, but Bieler suggests its new vendor will provide the carrier with more choice when it comes to deciding how to charge passengers to use the service. “We have not yet released detailed plans around how we plan to price the product, but ViaSat allows us a great deal more flexibility and control in terms of how we price and share revenue on the product, as well as allowing us to create a more guest-centric, tailored offering for our flyers that could include things like discounts for our Elevate frequent flyer members,” he says. The white spots in ViaSat's Ka-band network are temporary, with Buchman eyeing the 2020-21 timeframe for offering “global Ka-band, high-capacity coverage”. The company will next year launch ViaSat-2, which will extend its Ka-band in-flight wi-fi service to Mexico, the Caribbean and South America. ViaSat is targeting customers in North America and Europe – it signed an agreement with European satellite operator Eutelsat in 2014 to enable service access and roaming on each other's high-capacity satellite networks. Israeli carrier El Al last year agreed to become the European launch customer for ViaSat's Exede In the Air service.